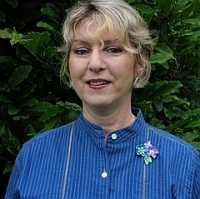 LORELLA BROCKLESBY, London born, has taught for Scarsdale Adult School for over twenty years and specializes in cultural history. She is an Adjunct Professor of Humanities at NYU and has an award for teaching excellence. She was also, for many years, the accompanying program director for NYU’s Oxford Summer non credit course and contributed to the NYU/Oxford seminar program there. She was, until recently, an associate teaching professor part time for Parsons School of Design, has given fifteen seminars for Smithsonian Institution, and has also lectured for the Metropolitan Museum of Art as well as on board Queen Mary 2 on many occasions…and is an enthusiastic watercolor painter!